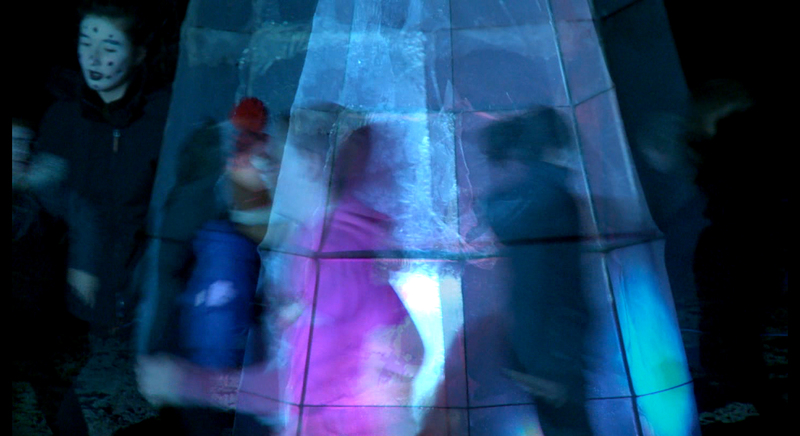 I was one of the artists working on this ambitious community project in Girvan – Ayrshire. We ran workshops in the local schools and in the in the surrounding villages. The pupils make their own lanterns of different shapes so they could take part in the impressive lantern procession. We also ran community workshops so anyone who wanted to take part could come along. 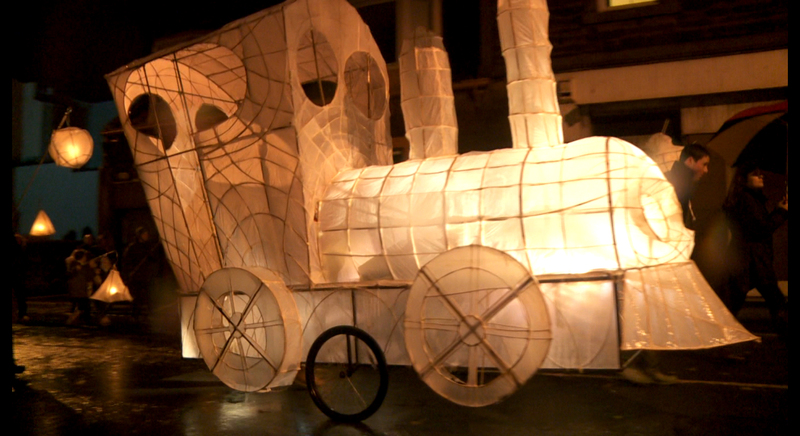 We created extra large detailed lanterns as the processions showstoppers. 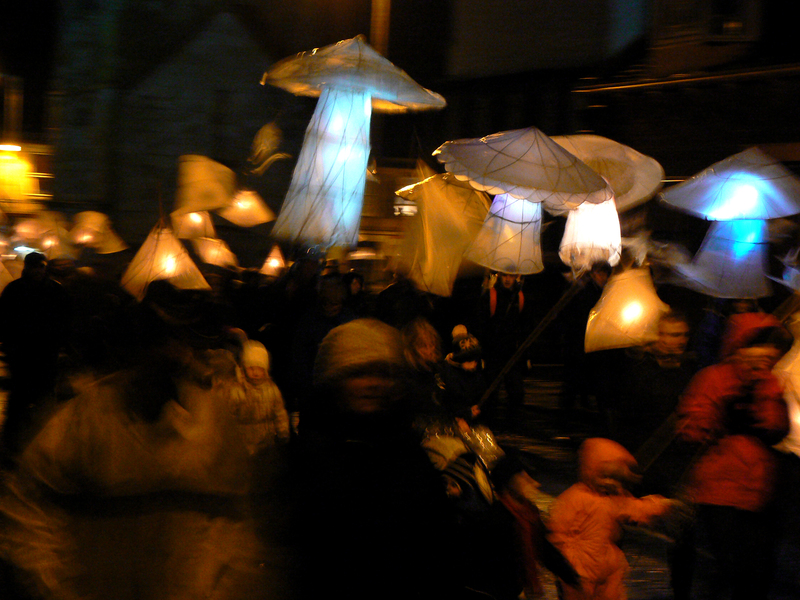 The procession culminated in a beach front performance using the large lanterns.